One of our favorite snacks is Muddy Buddies. Some people also call it Puppy Chow Mix, but we call them muddy buddies. I used to make a large batch for us to snack on, and I would pack them in my kiddos’ lunches for a sweet treat. Well, now that both kiddos go to peanut free schools, I needed to step up my game and make our muddy buddies without peanut butter. To be honest, I hadn’t made them in so long that I just forgot they existed. Then, last week, Kate and I were watching Disney’s Super Buddies, and she asked me if we could make some muddy buddies over the weekend so she could take them to school, so I decided to find a way to make them without the peanut butter! And wow! They are amazing! I can’t believe how easy it was to tweak, and while the taste is a bit different, it’s not a bad different! These muddy buddies are still delicious!!! And now that I have figured out how to make them with no peanut butter, we will be able to send them to school with Kate for her next classroom party! All you need is Chex or Crispix, powdered sugar, butter, vanilla, chocolate chips, and if you are adventurous, a little bit of brownie mix! For the directions, please refer to the printable recipe above. To print, simply click on the photo, right click and print! The fabulous Super Buddies inspired this super yummy muddy buddy snack mix. It is honestly one of the cutest movies Kate and I have seen in a long time! I love the message it sends…You don’t have to have super powers to be a super hero. It sparked a long conversations between the two of us about making small changes to make a better world. Kate now wants to start an after school litter pick up club at school. I think that is amazing!!! We are now mapping out a plan to gather some of her friends and go to different areas around the city a few times a month to do a little clean up work. I am one proud mama! Our own Super Blainey watched with us, and seemed to enjoy it as well! You can follow Disney Buddies on Facebook and Pinterest ! This post was sponsored by Disney Super Buddies and The Blueprint Social, all opinions are absolutely real and 100% mine! 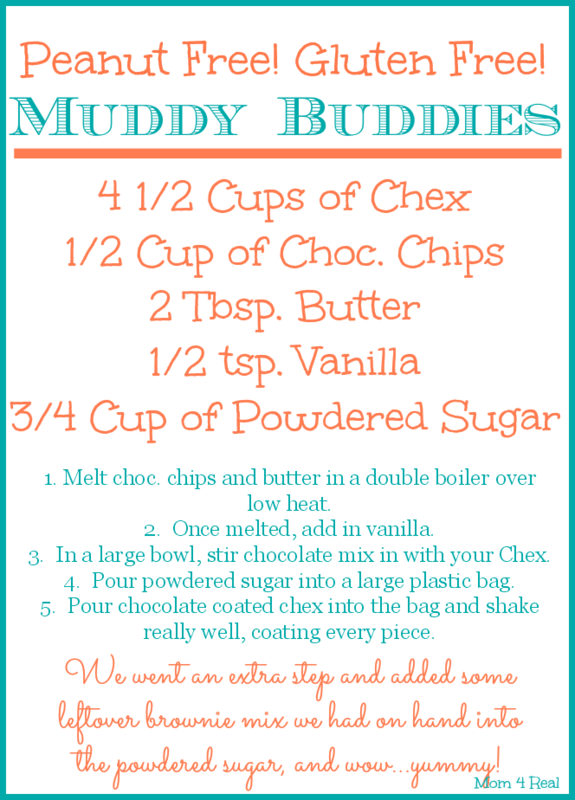 So what do you think…will you be making your own Muddy Buddies??? 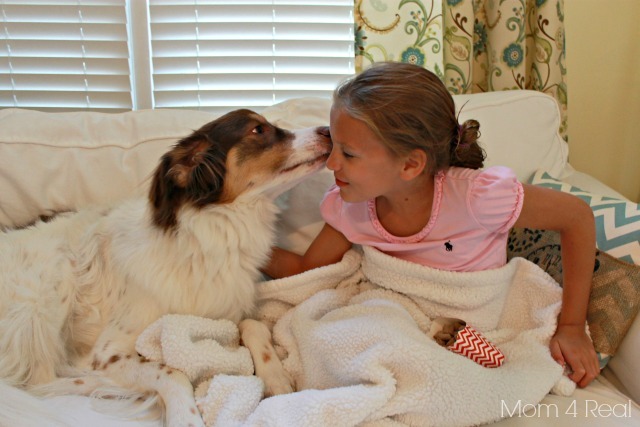 You can see more fabulous projects and recipes that were inspired by Super Buddies below! « Blogger Spotlight – My Creative Days! What a delicious looking treat! My kiddos loved the movie and I know they would have enjoyed it even more if they had that as a snack! Yum! 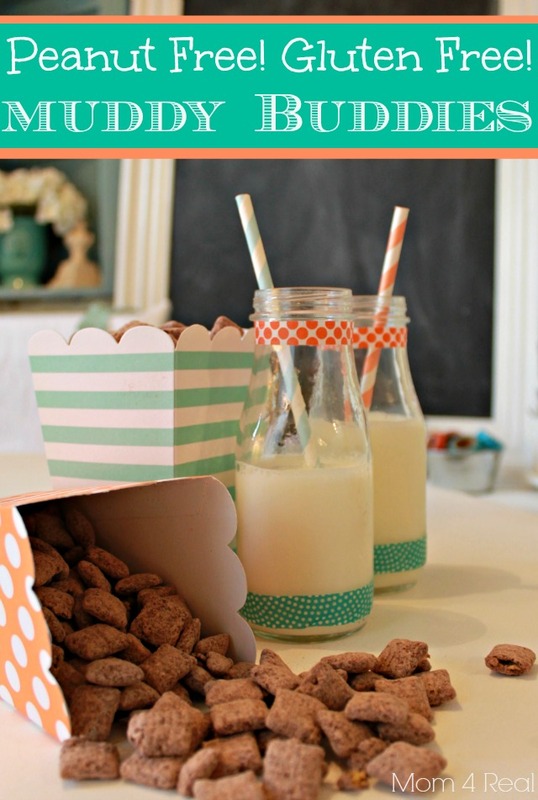 I might be the only person on the planet who has never tried any of these yummy cereal snack mixes, and I’m thinking we might just have to make this after school today! This is so cute! I love that Kate gets to be a part of your blogging adventure :))) She is so stinking photogenic. Such a pretty girl!!!! Hiya! Love the sound of these snacks, but being in N. Ireland I have no idea what Chex is. Any ideas what the equivalent might be in the UK? Hi! It’s a square rice or corn cereal with small holes in it. Does that make sense? I’ve also used Crispix. Hope that helps!! 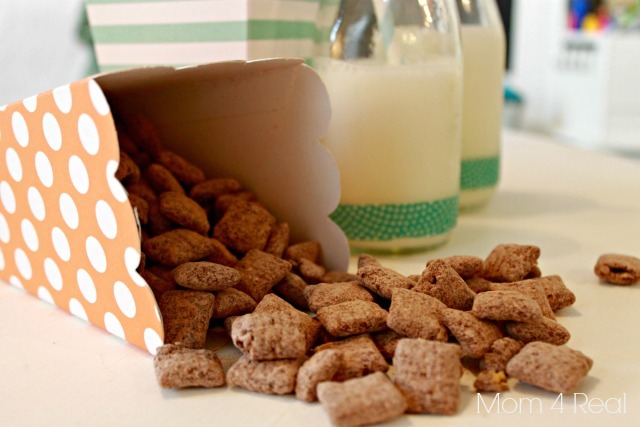 I love muddy buddies of all flavors, and how cute are those little treat sack box thingies!?!?!? We’d love for you to come over to our newest link party over at The Inspiration Network: DELISH- a desserts only link party. Bring your desserts and let’s party!! I have a sweet daughter who is severely allergic to nuts, so this is great inspiration. We use SunButter (from sunflower seeds) and are planning to try WowButter as peanut-free butter options in our home. 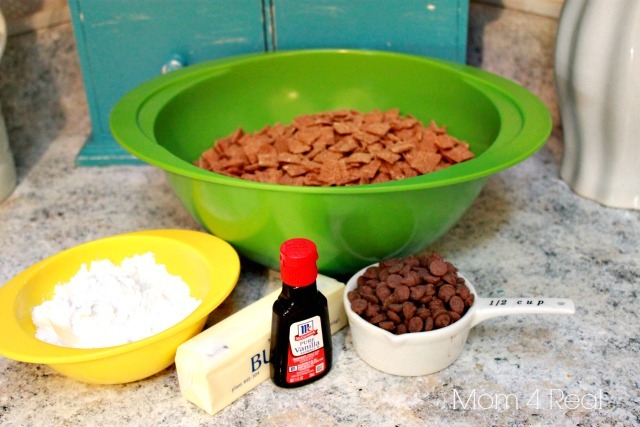 I wonder if adding SunButter to your recipe would get you closer to that traditional Muddy Buddies flavor??.. I bet it would! Let me know if you try it…I’d love to know how it turns out! Pardon me for butting in. I don’t know how long ago this post happened, but if it’s not too late, please don’t use shredded wheat for this recipe. Chex are nothing like shredded wheat. At all. I recommend you do an internet search for Chex Cereal and have a look at what it is, then see if you have something like it by another name where you live.